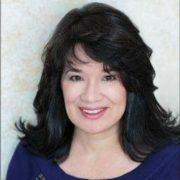 Storytimes with author Gina Beaumont! 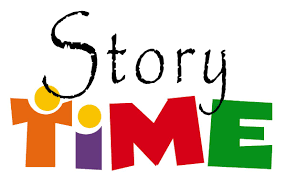 Join us f or a series of three storytimes with local children’s author, Gina Beaumont. 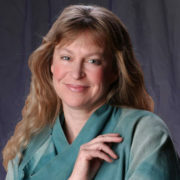 She will read from some of her favorite books and follow with a simple activity. RI Museum of Science and Art presents Electric Dough! 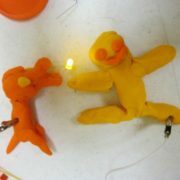 Explore the properties of electricity and creativity using conductive dough. Through hands-on art/science activities, you will learn how circuits work, and the difference between conductive and resistive materials. Use LED lights, play-dough and imagination to create electric artwork! Intended audience for ages 5 & up. Earlier this week, our friends at Silk Tree Farm visited the Brownell Library to discuss their work preserving heritage breed animals. Patrons got to hear about the local farm’s focus on sustainability and their dedication to nurturing happy, pasture-raised animals. 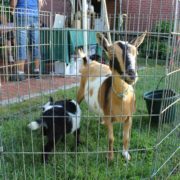 Silk Tree Farm had a selection of natural goods fresh off the farm, and even brought along some of their furry friends, giving patrons an up-close look at the animals that inhabit the farm. 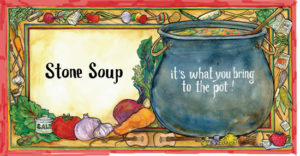 Join us for Oracle Award winning storyteller, Diane Edgecomb, as she delights and entertains with her high energy and inclusive telling of Stone Soup! and other heartwarming tales. Wednesday, June 28th at 6pm under the tent. 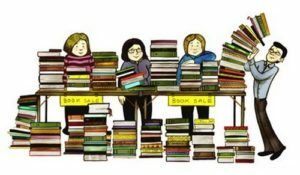 The Friends of the Brownell Library will hold their annual book sale Saturday, August 5th, 9am-3pm. The sale will be located on the back patio. Admission is free, so be sure to stop by and stock up on your summer reading. 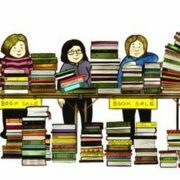 Donations of books in good condition are gratefully accepted year-round at the Brownell Library for the sale. Please no textbooks, encyclopedias, or VHS. For more information call the library at (401) 635-8562. 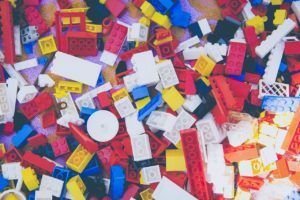 Starting June 3rd, the library’s weekly Lego Club will run from noon until 1pm to accommodate the library’s upcoming summer Saturday hours. 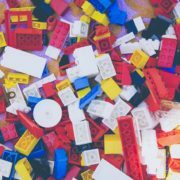 No sign-up or registration is required, simply stop by for some LEGO-building fun! LEGO Club takes place each Saturday and is open to all ages. LEGOs will be provided — just bring your imagination and creativity.